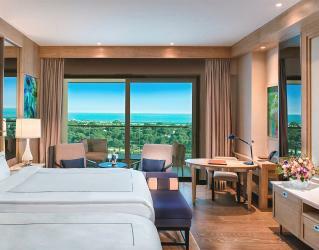 Situated on a pristine white sandy beach overlooking the Mediterranean Sea is the luxurious Regnum Carya Golf & Spa Resort. Indulge in the resorts 5* amenities during your stay: indoor and outdoor swimming pools, sports activities, the outdoors Adventure Park, the finest cuisines and beverages served at one of the 20+ restaurants and bars. The resort features the ultimate relaxation paradise at the 4,800m2 Greendoor Spa. 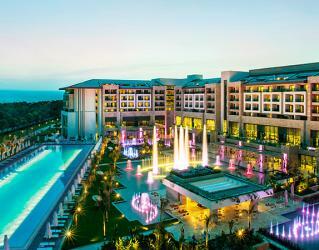 Guests of Regnum Carya receive complimentary entrance to The Land of Legends Theme Park, the largest theme park in Antalya. Offer only valid for guests with a minimum 3-night stay and during Theme Park Dates of Operations. 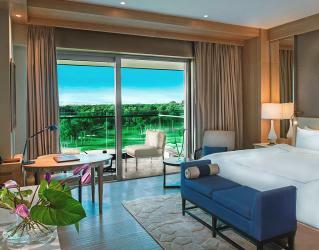 This resort boasts an impressive 553 rooms ranging from standard rooms to suites and villas. 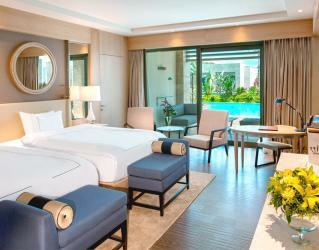 They are very spacious in size with the standard room starting at 622 and the going as large as the Crown Villas 3,500m2. 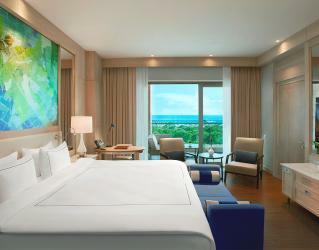 All accommodations have either a balcony or terrace that overlooks stunning views. A mirror LED TV, internet, minibar, internet, coffee and tea setup, iron and ironing board, dressing room, hairdryer, bathtub and shower, bathroom toiletries by BVLGARI, bathrobes and slippers are the minimum amenities in the rooms to fulfill your needs throughout your stay. 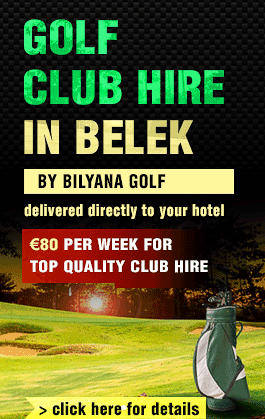 Golf enthusiasts are invited to play at two internationally acclaimed golf courses in Belek. 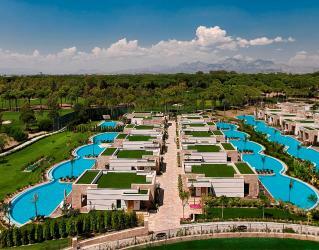 The Carya Golf Club situated directly on the resort offers guests stunning views of the course throughout the resort. Located just 5 minutes away, guests also have easy access to the National Golf Club. 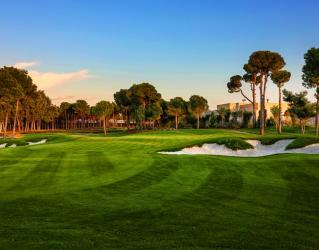 Indulge yourself in golf as the resort is in close proximity to 12 other popular golf courses in Belek, providing an extraordinary golf experience. Breakfast, lunch and dinner are served in the stylishly decorated Gourmet Restaurant all year round. 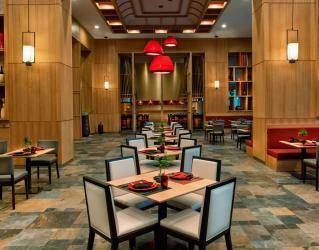 The selection of A’la Carte restaurants available year round will satisfy all tastes. 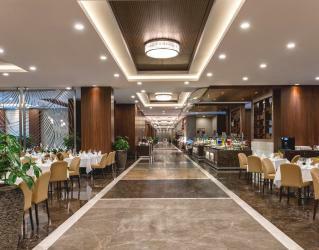 Whether it be Italian, Far East, Seafood, Turkish or Mediterranean cuisines, Regnum Carya has them all. In the summer season, you can try Forest Shack, The Beach House, Aqua Eleven and Gusto Snack Bars for quick bites. Sandal A’la Carte Restaurants are available during the summer season with excellent service. A wide variety of alcoholic and non-alcoholic drinks are included in the all-inclusive concept of the resort. 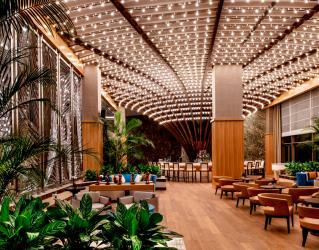 The 10 bars scattered throughout the hotel offers a different atmosphere in each one. One Lobby Bar serves 24 hours all year round. 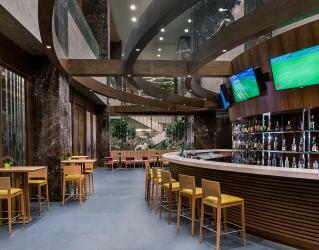 Specially decorated with a golf theme, 19th Hole Golf Bar serves in a warm atmosphere from morning till midnight. Open all day long, The Zing Bar offers healthy options such as fresh fruit and vegetable juices. At night, Rouge Night Club serves various cocktails and drinks while being surrounded by dance music and flashing lights. In the summer season, The Beach House Bar, The Harbour Pier Bar and “Blue” Pool Bar are at your service with fancy cocktails and refreshing drinks. 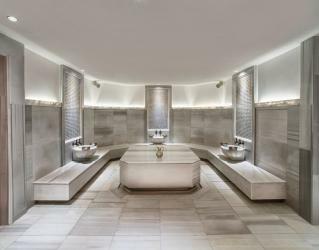 As one of the most uniquely designed SPAs in Turkey, the GreenDoor SPA & Wellness makes you feel a sense of tranquility with your first step through the doors. Using organic certified products for your health, the facility offers many treatments including beauty treatments, therapies and massages from the Far East. The traditional Turkish Bath, steam room, sauna, ice room and the indoor pool are all here for you to relax and enjoy throughout your vacation. 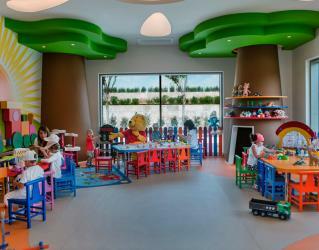 Regnum Carya Resort offers a wide variety of activities for everyone in the family to choose from. Surrounded by fresh air, the Adventure Park located in the pine trees is a not to be missed activity for adventure lovers. When the sun goes down, elite events, shows and parties take the stage. 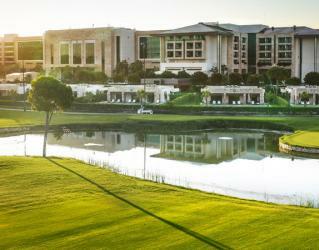 Carya Golf Club, host of the 2018 Turkish Airlines Open European Tour is located at Regnum Carya Golf Resort & Spa. This fantastic course was inspired by the traditional old English style of heathland courses situated in Surrey, England. Its 72 Par, 18-hole golf course has five tees per hole and is challenging and undulating with plenty of strategic options. There are a total of 84 bunkers with heather covered edges and 4 lakes with a total length of 6,571 meters. 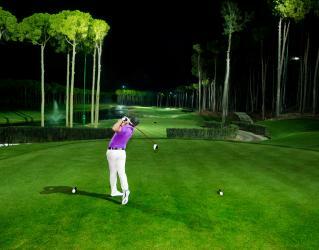 It also offers its golfers the opportunity to play golf at night with a fully floodlit course, the first one in Europe. 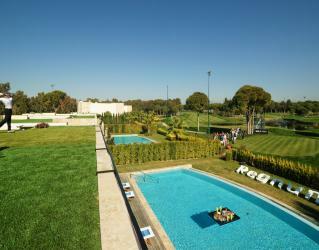 Putting Green 2,500 m2 – 145 meters long! Driving, Pitching Driving: Double ended with a unique state of the art Academy building with 52 bays. With Taylor Made Performance Laboratory. 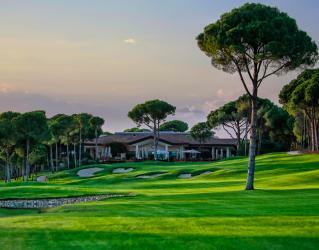 National Golf Club is the oldest golf club in Belek having opened back in 1994 with the motto “the first and still unique.” It offers challenging fairways while being bathed with sunshine on the Bermuda grass. 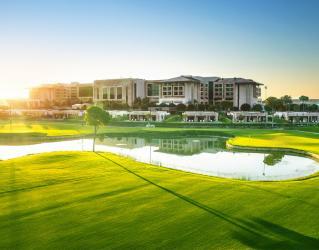 National Golf Club has hosted the Turkish Airlines Ladies Open five times. The total distance of the 27-hole, 72 Par course is 6,504 meters. The Golf Academy consists of 300 + meters driving range, very special 130 meters long putting green, a unique state of the art driving range building including two teaching studios. Fully P.G.A qualified professionals will offer you tuition in many different languages such as Turkish, English and German. Our coaches will help you through systematic and understandable sessions at special teaching studios with the most modern video analysis equipment. What is the TaylorMade Performance Lab? 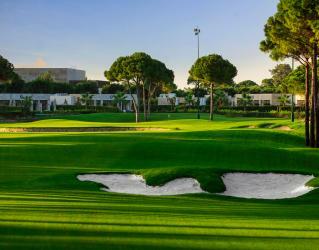 Located within the Academy at Carya Golf Club, this state-of-the-art facility, which is fully enclosed and houses a the Motion Analysis Technology (MAT-T 3D) system and 'tour workshop' where specialized custom-fitting of clubs is done on a one-to-one basis with a Carya Academy Club fitting professional. The workshop is of Tour standard and is equipped with club customizing equipment including a loft and lie machine; putter loft and lie machine and a unique gripping station. The Motion Analysis Technology (MAT-T 3D) system offers a custom fitting experience that creates real-time animations of your golfers swing enabling the Professional Club fitter to fully understand your swing and launch conditions to optimize the recommendation for a full set of TaylorMade clubs. - Monica is the top to have to deal with during the entire booking process (fun to meet at National). - The shuttle has been working great all week. - The on-site contact person is always helpful and friendly (felt like he really did everything he could to change National to Carya at one point). Now that we’re back from our latest golfing trip to Turkey, just a wee note to say a big thank you for all your efforts in setting up our trip for us. As we’ve come to expect, Bilyana’s service was second to none, and something we know we can rely on. All done with a smile, too! So thank you Sunny, to you and your team who work so hard on our behalf to make everything work as we would wish. 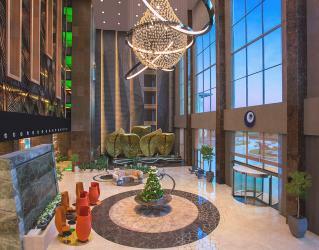 We have to say, the Regnum Carya was a thoroughly enjoyable hotel, and one we will certainly pencil in as the base for our next trip to Antalya. We were spoilt with the suite, too! A bit early days to say just now, but we’re sure to want to start planning our next trip before too long. It’s likely to be April 2019 – our week away in May was far too hot! Must have been about 32 degrees every day, a bit much for good golf, for us at least. We’ll be in touch before too long, but meantime, thanks again for everything. You’re an absolute star, a legend! I've got to tell you that our golf holiday in Turkey was outstanding, the accommodation, the service, the golf courses were all stunning. All eight of us have golfed around the world, Florida, Arizona, Spain, South Africa and even Kenya but we all agreed that the Regnum Hotel and the combination of the four courses we played topped the lot. Tremendous value for a 1st class package. Well done and congratulations to Bilyana/Regnum for service par excellence. 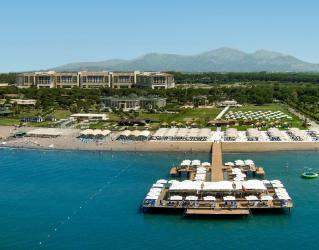 We have just returned from a two week holiday staying at the Regnum, which we booked through you. I’s just like to say ‘Thank You Very Much’ to you, for help with our booking and your ‘Team’ on hand in the resort for looking after us so well. We had a wonderful time and will certainly be going back, if time permits it could be later in the year, otherwise we will be there again next May.